The ultimate display of adoration and affection, creating a soothing, relaxing and elegant mood, this highly rated Valentine Love Marquee has over 100 reviews! It could be a gorgeous centerpiece at your Wedding Ceremony, or any other romantic occasion. 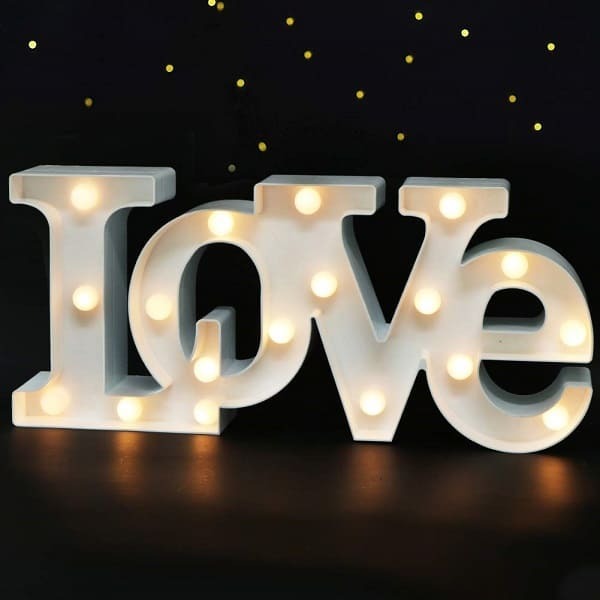 18 LED bulbs inside the marquee light up “LOVE” in a romantic warm white glow, emitting adoration & affection. My favorite part of winter is getting to wear sweaters, and I’m obsessed with these slouchy, trendy sweaters. These Lush Sweaters are on sale today for $13 (reg. $33). These sweaters come in two styles, and my favorite is the one with the side tie on the front. These sweaters are effortlessly slouchy with a buttery soft feel and luxurious look. Pair these with your favorite jeans or leggings and cute boots for a fun, easy look. They will be your next go-to piece for your everyday basic wear, and you’ll want them in every color. Looking for some fun Valentine’s for your kids to give their friends that are different than your typical store-bought Valentine’s? We have Six Adorable Valentines for the Kids that are handmade and that the kids will love. And, don’t forget, we have a bunch of cute, fun and FREE Valentine printables here. How cute are these Love Bug Valentine Cards?? Each one comes with a bug glued to it, and that bug can be removed so the kids can play with it. These valentines are priced as low as $2.50. I love these S’mores Valentine Treat Bag Toppers because you can pack smores ingredients into a cellophane bag and add the bag topper. Kids will love to get and give this. Get this instant download that you can print as many times as you want for just $5. My daughter got sunglasses like these for valentines one year, and they were a huge hit with everyone in her class. These Sunglasses Valentines come with one pair of glasses attached to a clever and cute valentine card, and are priced as low as $1.95. Do your kids love Cuties? Mine does, so this valentine would be right up her alley! Put a little Cute orange in the bags that come with this Cutie Valentine’s Day Gift Sets, add the tag and you’re ready to go! Get 12 of these valentine sets for $8.99. Your kids’ valentines will be a hit when you pass out donuts to all of his or her classmates! Get donuts, cellophane bags and download this cute Donut Valentine for an easy gift that everyone will love. This instant download is only $2.50. Browse ALDI Weekly Ads. Don’t miss out on these Six Adorable Valentines for the Kids while they’re available! The revolutionary and highly rated botanical Hairgenics Lash Serum boosts the length and thickness of eyelashes and eyebrows. The result is longer, fuller and thicker eyelashes and brows! 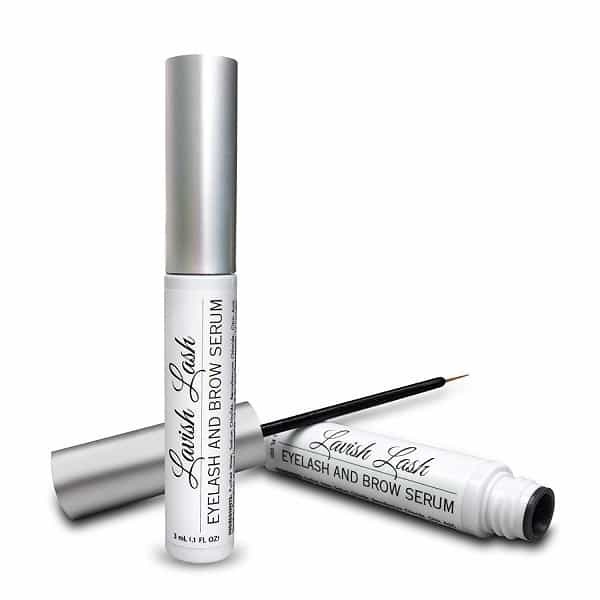 Imparts sheen and luster to lashes and brows making them appear lush and beautiful. No more false lashes needed! Experience drastic increases in length and thickness of your eyelashes and eyebrows in as little as 60 days for the perfect lash boost! Thousands of reviewers recommend this product! As a reminder, Amazon prices can change at any time. This price was current at publishing time. Be sure to confirm the price before purchasing to ensure this deal has not expired. If you love clothes with fun boho vibes, you’re going to love this gorgeous top. This Floral Embroidered Top is a piece that every woman should have. Right now, this is a great deal at just $25 (reg. $55). This shirt is a fun twist on a classic top. From its high neck to its trendy embroidered design on the bust to its floral print, this top will quickly become one of your favorites. Pair this with your favorite pair of skinnies or leggings and add full size boots or booties for a comfy yet stylish outfit.